The most effective, painless and convenient way to stop your cat from scratching unwanted areas! 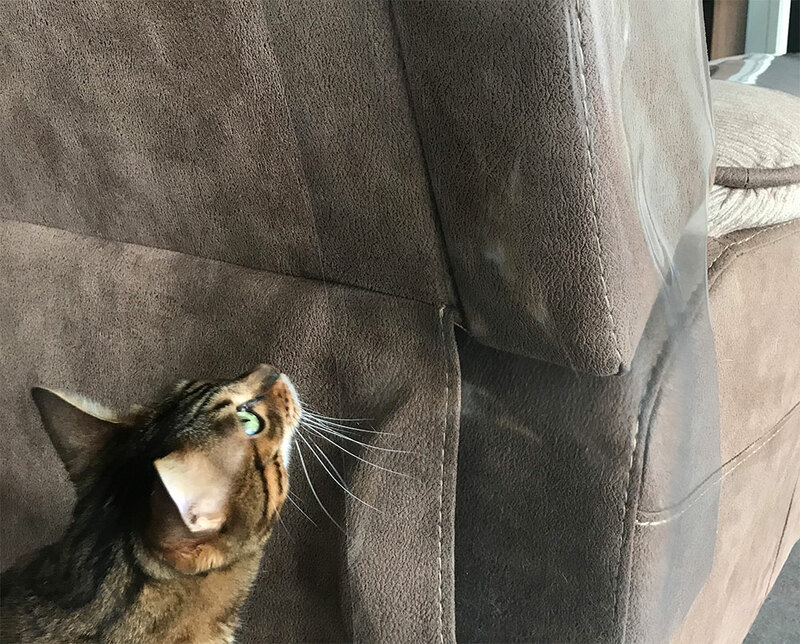 Stop your cat scratching furniture with ScratchGuard and these 3 simple steps. Cover the area your cat is scratching, with ScratchGuard (use testing strips to assess surface suitability). Cats NEED to scratch, so put a scratching post next to the ScratchGuard'ed area, let them use that instead (and consider trimming their claws). Once your cat is happily using the scratching post instead, it's safe to dispose of ScratchGuard! 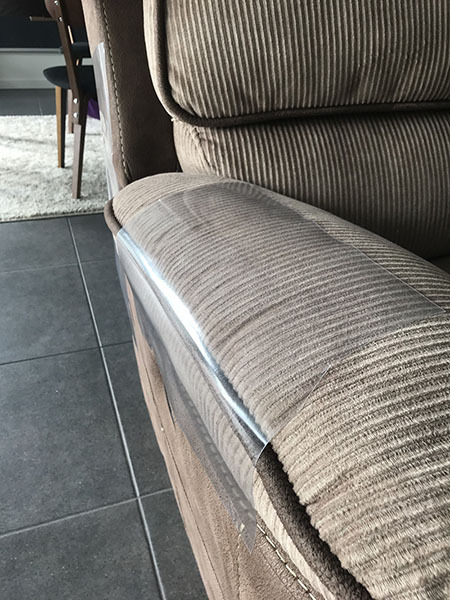 ScratchGuard is transparent, so can be applied to any colour furniture. Pressure-sensitive self-adhesive means that ScratchGuard can stick to most surfaces from super smooth to fabric. Important: Should be cautiously used on leather, and ALWAYS be tested somewhere safe or hidden (2x test strips included with every ScratchGuard). 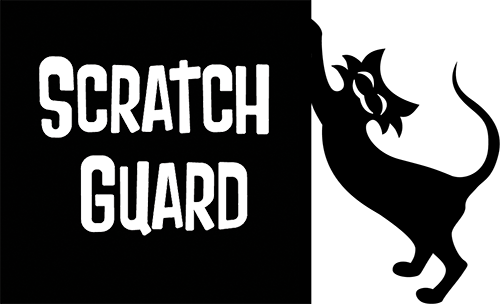 ScratchGuard is self-adhesive, strong, and each box comes with 2 large pieces (27cm by 50cm tall) which can be applied directly or cut to size as required. 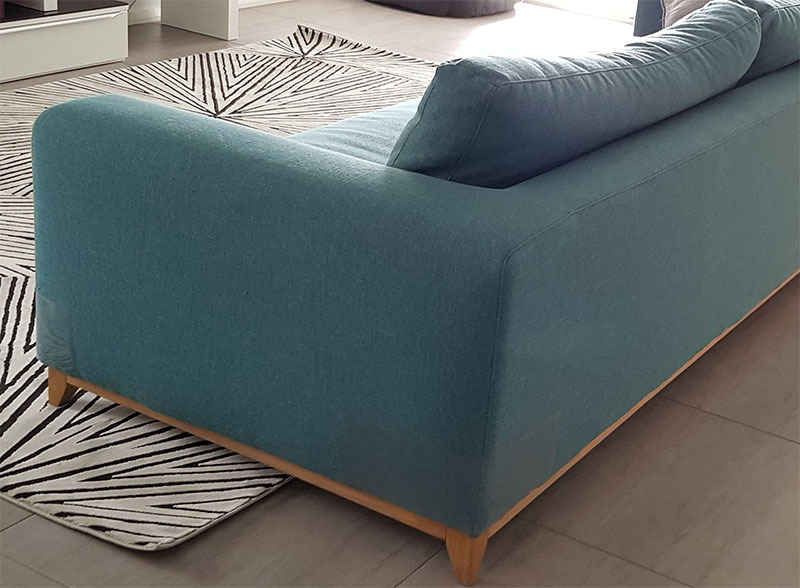 It's flexibility means that it can wrap around arm-rests or corners on couches as well. Works perfectly with many cats, unlike sprays (which also can stain, or leave horrible odours). No piercing required, so will not leave pinprick holes or tear out when being removed. Simple to use, simple to remove, and quite simply very effective. Easy to install, simple, effective and painless. So thankful I found this product! Since putting it on my couch my cat hasn’t bothered to touch it! Can’t wait for my second order to come so I can wrap the other couch, thanks Catbox!! Not sure Milli and Simba like it but I certainly do and it works really well. The most effective way to re-train your cat from destroying your home. !